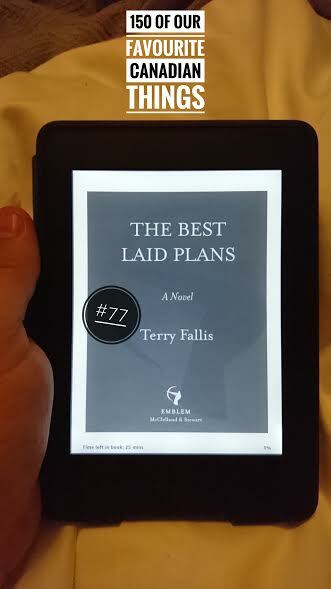 Terry Fallis is a Canadian public relations professional-turned multi-award winning author. His first novel, The Best Laid Plans, was not accepted by a publisher so was released by podcast and then self-published before going on to win CBC Canada Reads and the Stephen Leacock Memorial Medal for Humour. Talk about Canadian determination. The Best Laid Plans is a wonderful piece of fiction that explores the inner workings of Canadian politics. The story has rich characters and its humour is remarkably simple, poignant and accessible. Fallis’ background with the Canadian Liberal Party gives depth and genuine character to the story. Character Angus McLintock is a modern day folk hero, a crotchety old academic who will do anything not to teach English to engineering students, even if it means running to become a Member of Parliament. Angus’ diary entries to his departed wife give the story an amazing emotional arch which rounds out well against the humour. Fallis followed The Best Laid Plans with sequel The High Road, along with four other books including No Relation, which netted him his second Stephen Leacock Memorial Medal for Humour. Enter our contest to win a $150 Amazon.ca gift card and pick up Terry’s full collection.